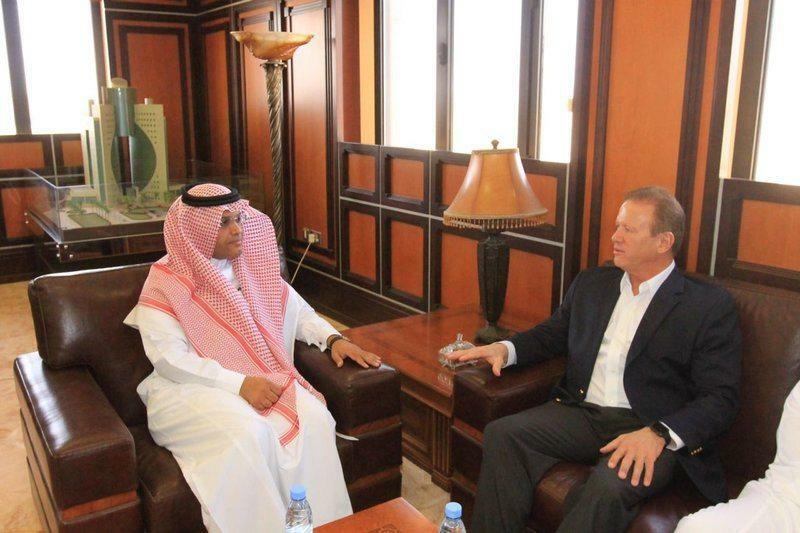 A delegation of NEOM officials visited the University of Tabuk, and during the visit, they were briefed on the scientific and academic programs offered by the university in the fields of engineering, computer and management and studying the outputs of these specialties. For its part, the university officials expressed their willingness, based on the needs of the labor market in the new city, to develop some of their study programs and to formulate new programs for these needs in the future; to prepare trained cadres capable of actively participating in NEOM future projects. The team also visited some of the university buildings, including the university hotel, college buildings, and the new university management tower. Also, they visited the University’s infrastructure, on a field trip that included workshops for the Faculty of Engineering, the Center for Remote Sensing, Robot Laboratories and Renewable Energy. At the end of the visit, the officials of the NEOM project expressed their admiration for what they saw at Tabuk University of development in all its programs, facilities and integrated infrastructure, and the result of the visit of fruitful results, including the announcement of 6 jobs for university graduates in the new city.